The first Sunday Photo Fiction challenge of 2015 is upon us. I look forward to seeing what everybody shares with us this year. If you know of anyone else who wants to take part in the challenge, send them along. The more the merrier and you would be surprised at the amount of stories that come from reading other people’s pieces. Just one sentence can spark a whole new area. So please, if this is your first visit – have a go. Take a look through the creature feature to see what other people have written. If it is not your first visit – welcome back. 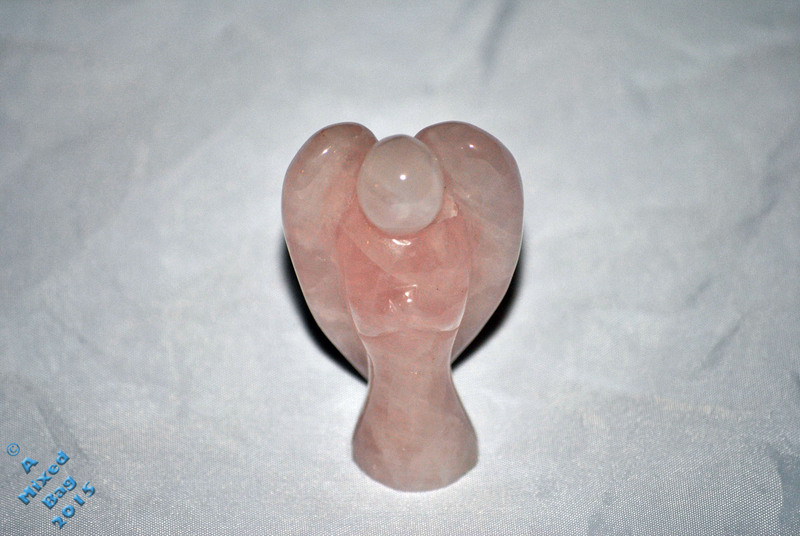 A rose quartz angel. A gift from Paula. Pingback: Raphael | Oh Danny Boy!